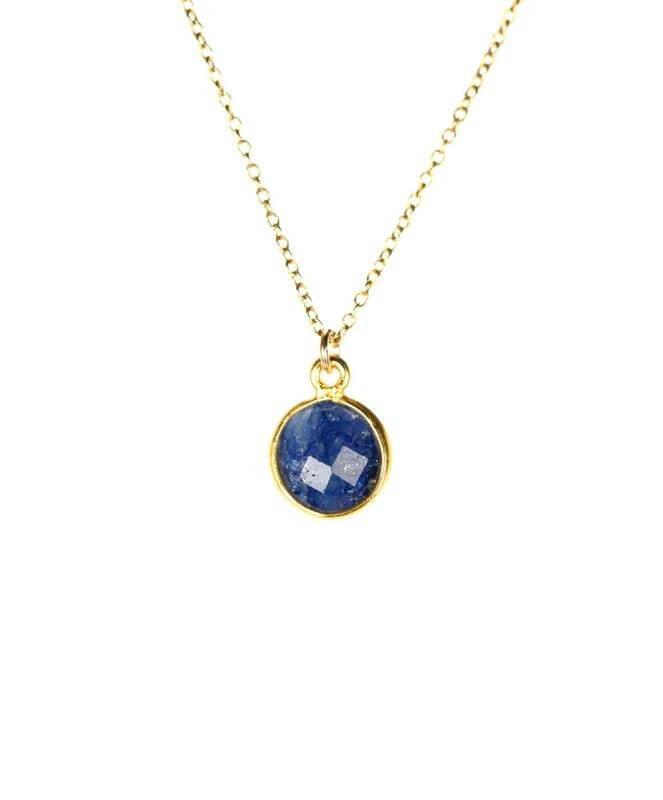 "The Wisdom Stone"... A genuine blue sapphire is lined in 22k gold vermeil and hangs from a 16 inch 14k gold vermeil chain. Please feel free to select a different length chain if you prefer! Please choose your favorite crystal as shown in the fourth photo. 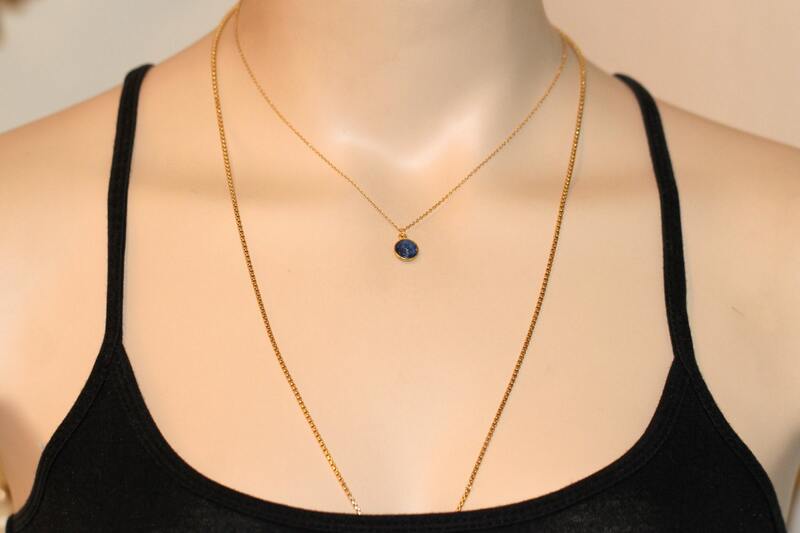 Need a few reasons to love sapphire other than for its beauty? Sapphire is a 45th Anniversary gemstone. 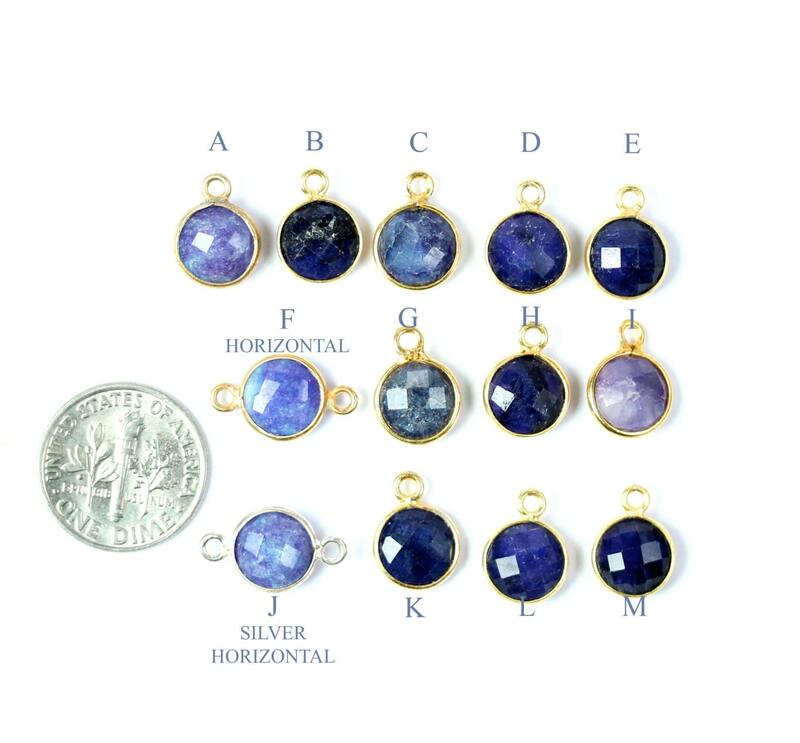 Known as the "wisdom stone", each colour of Sapphire brings its own particular wisdom. It releases mental tension, depression, unwanted thoughts and spiritual confusion. Sapphire restores balance within the body, aligning the physical, mental and spiritual planes, bringing serenity and peace of mind. It stimulates concentration, brings lightness, joy and peace of mind. 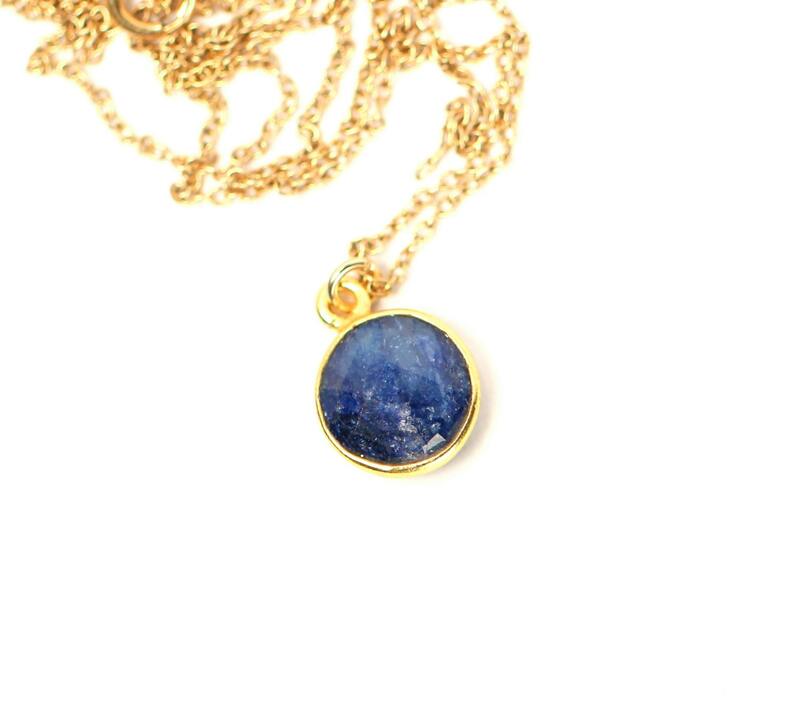 Sapphire is also known as a "stone of prosperity", attracting gifts of all kinds and fulfilling dreams and desires. 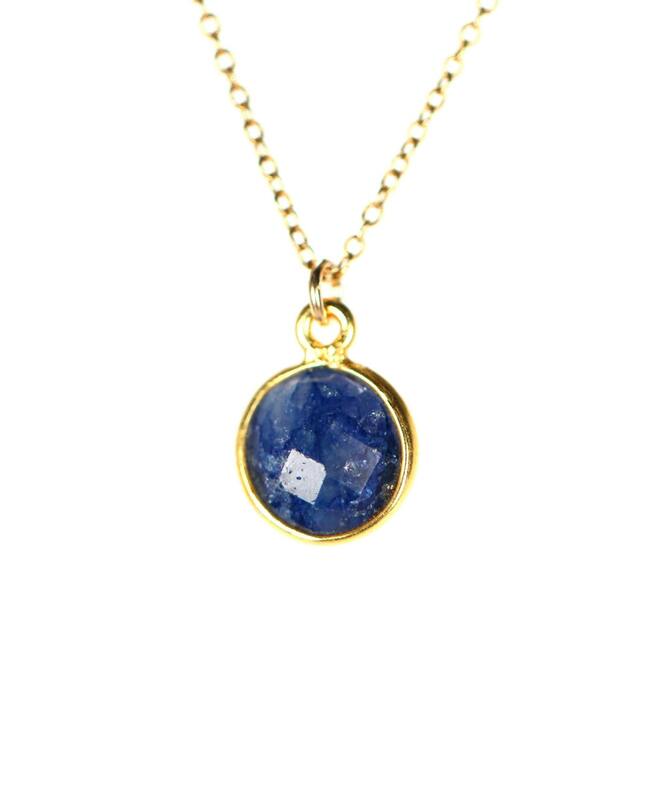 As for physical healing... Sapphire treats blood disorders, combatting excessive bleeding and strengthening the walls of the veins. It is used for cellular disorders, regulates the glands and calms overactive body systems.